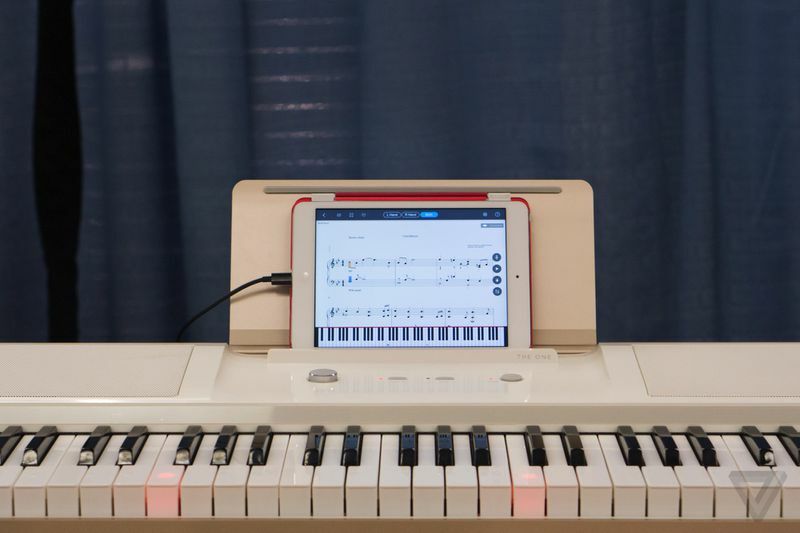 The device uses syncrozied lights and sounds, in order to show the consumer just how to play the piano – there are no active teachers required. As a result of this, it’s been enormously popular in it’s home country of China with parents, selling 85,000 units in its first year alone. This is all done through the use of an iPad, with free apps involved. The app in question contains specific music lessons, but it also allows you to play learning games and download sheet music, for free if it’s in the public domain or for around the equivilant of a few pounds, if it’s a more modern, copywrited track. The One’s keyboard teaches how to play the digital piano using light-up keys, which you can already find on existing MIDI keyboards and piano accessories. However, The One takes this concept, and twists it, giving it their own personal edge. Instead of just continuously running through and playing the songs, the keyboard is able to stop at each individual note, allowing to time to learn to play it correctly, at your own pace. It’s also able to even simultaneously highlight the note you’re supposed to be playing, both on the iPad screen and the keyboard key itself. Crowdfunding has been used to launch the One smart into the Western market, so the items can be shipped over in bulk, saving on costs. And speaking of cost, a One smart of your very own will set you back a hefty £1,300. Not your standard Yamaha or Chase digital piano, prices, then, but indeed a revolutionary idea that will inspire a generation to start playing piano, the 21st century way.